Product #5693 | SKU FAF20601 | 0.0 (no ratings yet) Thanks for your rating! Provides an upright, unreversed image for right-angle viewing. The Nikon DR-6 provides an upright, unreversed image for right-angle viewing, which is very convenient for waist-level or low-angle photography. Individual eyesight adjustment is possible with the built-in diopter, and the reproduction ratio can be set to 1:1 or 1:2. 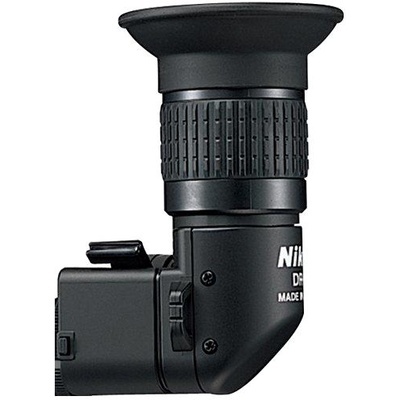 This version can be used with all Nikon SLR cameras that feature a rectangular viewing eyepiece, e.g. : D300s, D300, D200, D100, D90, D80, D70s, D70, D60, D50, D40X, D40 , D5000, D3000, N80, N75, N70, N65, N60, N55, N50 and Pronea 6i cameras.